Pacific Investment Research offers a no cost, no obligation introductory meeting to discuss your current financial situation and investment goals. The meeting can either be held in person, at our office, or over the phone. We want to learn about your prior investing experience and how you would like your investment portfolio to be managed in the future. We will share with you our approach to portfolio management, and how we can work together to tailor a portfolio that best suits you. 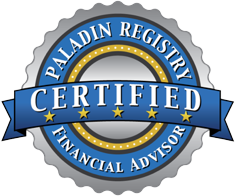 We can also address any current financial planning or investment related questions that you have. Let’s talk. Simply fill out the form below and we will contact you to schedule a meeting.